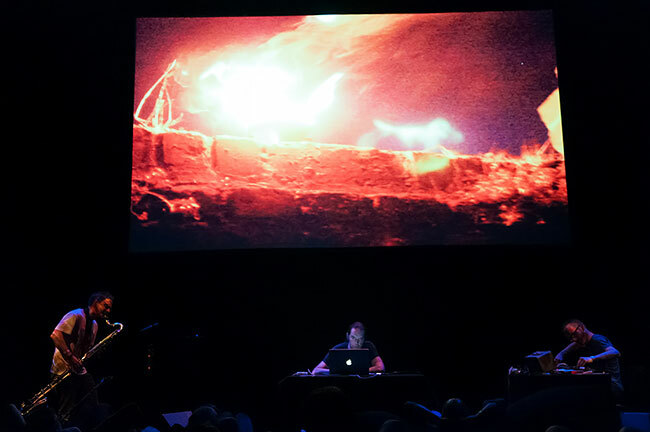 Bass clarinetist Gareth Davis and electronic musician Rutger Zuydervelt (Machinefabriek) have worked together since 2009. In May 2016 their fifth album together was released on the Japanese label White Paddy Mountain titled Shroud Lines. Together with visuals from artist/filmmaker Karel Doing this new material has grown into an audio-visual piece. An archive of 8mm film, is used to create a new landscape, saturated and intertwined with found sounds and field recordings which, in live performance, are manipulated and grow physically into layers of drones, static and broken melody.